Even with all of the changes in web marketing and advertising over the past year, Amazon Affiliates are still doing extremely well. In fact, being an Amazon Affiliate is a great way to get started in building a lucrative business. But before you get started, you need a good website. And of course, that means if you’re using WordPress, you need a great Amazon Affiliate WordPress theme. This article will run down our picks for the best WordPress themes for Amazon Affiliates, and why they’re our favorite themes! When you’re creating an Amazon affiliate site, you have several choices for what type of site you want to create. There is the comparison-shopping site, where you compare prices of different products across different websites, including Amazon and others. There is the product review site, where you review a set of products and provide links to Amazon to allow users to buy those products. And there is the deals-type site, where you find products that are on sale or less expensive than you’d expect, and link to Amazon to sell those products. Depending on which type of site you want to create, you will need a different theme. So this article, we will walk you through the different types of Amazon affiliate sites and which WordPress themes and plug-ins are most useful for building those types of sites. The first type of Amazon affiliate website that is very popular is the price comparison website. 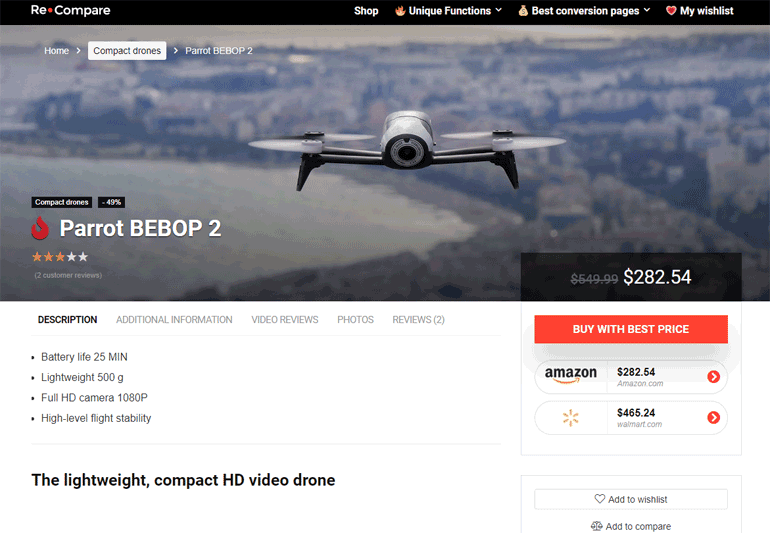 These types of sites list products and show the current pricing on those products across a variety of websites. RE:HUB is a beautiful and feature packed price comparison theme for WordPress. It’s easy to use, but very expandable, and can be customized to do everything from simple price comparison to multivendor e-commerce to social business. RE:HUB has everything you need to create an awesome site, including a built in community. Not only is this great for standard price comparison sites — it’s great for deals sites, since users can submit and rate deals. The theme includes Content Egg built in (not the pro version, however) so that you can pull data from the Amazon API. If you want to use other APIs to create a good price comparison, Content Egg will do that, but you’ll have to upgrade. Some of the coolest features of RE:HUB include it’s customizability — so you can make the theme your own easily — as well as its full set of price comparison functions. It also looks great on mobile! RE:HUB claims that everything is designed to maximize conversions and sales, which is really cool, although we have no way of testing that, so we don’t really know if it’s true. As the creator of many, many different price comparison websites on the Internet, I have never found a more perfectly suited price comparison software package than Compare. 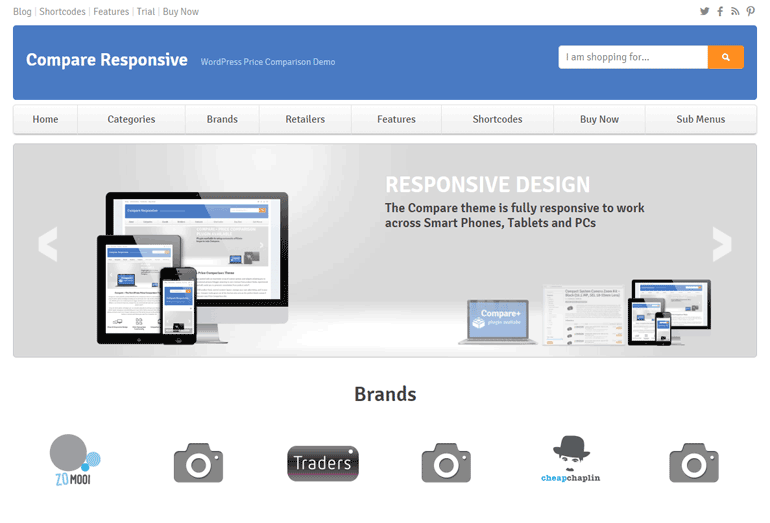 Compare is not just a theme, but a family of different products designed for you to create a price comparison website. While there are dozens of different themes and packages that help you build your price comparison site, and they span WordPress, Drupal, and all sorts of other systems, none is more well tailored to the problem than Compare. Compare is totally designed for you to create an affiliate site for price comparisons. With Compare, you have an entire price comparison site in a box. Once you’ve installed it into WordPress, you have the option of adding categories and different products, either manually, or in an automated fashion. The automated system (which requires a separate purchase from their website) will pull items in directly from Amazon using the API, so you can build your site and keep everything up to date with a minimal amount of work. If you’re building a deals site, Clipper is for you. It’s designed from the ground up as a deals site, with all of the features you’ll need (and some you don’t know you need) built in. It has built in connectivity to Amazon and other affiliates, but it also has much more. It has full tracking and cloaking of coupons (so that you get the affiliate click), as well as a great mobile look. 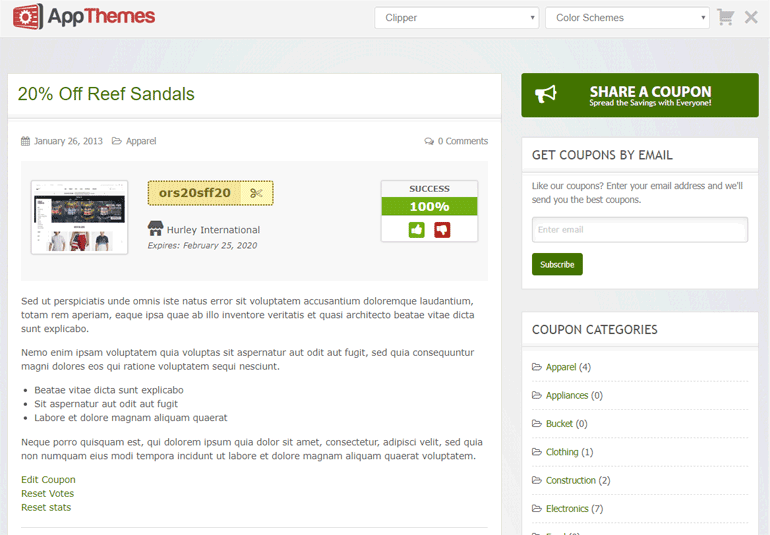 And it has built in functionality so that people can pay to list deals and coupons on your site. The first type of site that we will look at is the product review site. A product review Amazon affiliate site is a site where you review or rate different products, and you provide links to Amazon in order to sell those products. For this type of site, you will want to use a theme that allows you to review different products as well as get people to click through your links to purchase. So what are the characteristics that you would want in WordPress theme for your product review Amazon affiliate site? Our favorite product review affiliate theme for WordPress is Valenti. 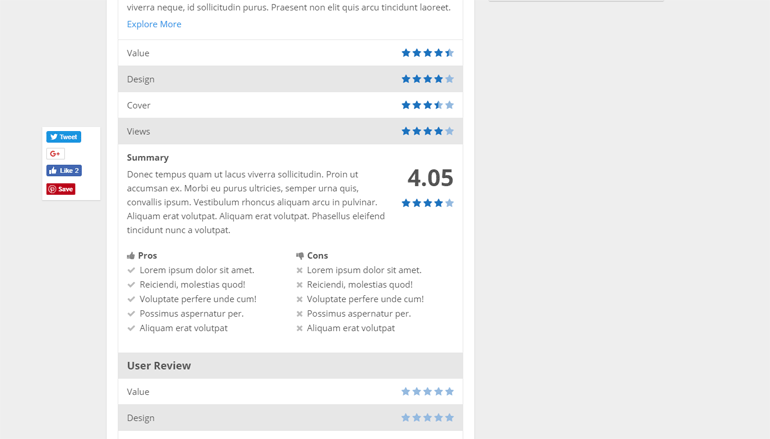 Valenti is an extremely beautiful theme with built in reviews and ratings that makes it easy to build a large, and complicated review site. Valenti has everything you need to build your Amazon affiliate review site — and much more. 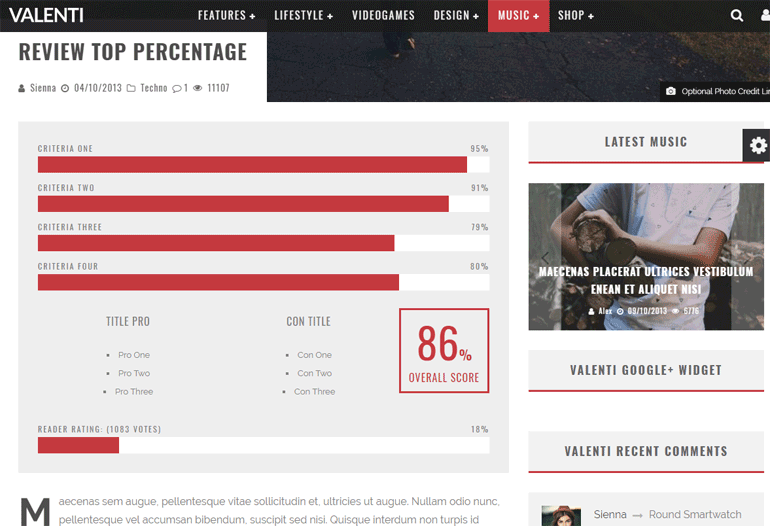 For instance, it allows your users to add in their own ratings and reviews, and then calculates scores. It also has many different page styles, each one prettier than the one before it. And it’s social media and SEO optimized. The only problem with Valenti is that it’s pretty complicated for a simple site, so if you are just a single blogger planning to do reviews for Amazon products, it may be too much for you. Although Thesis doesn’t have a complicated rating system built in, we found it to be the best theme for building a small Amazon affiliate review site. 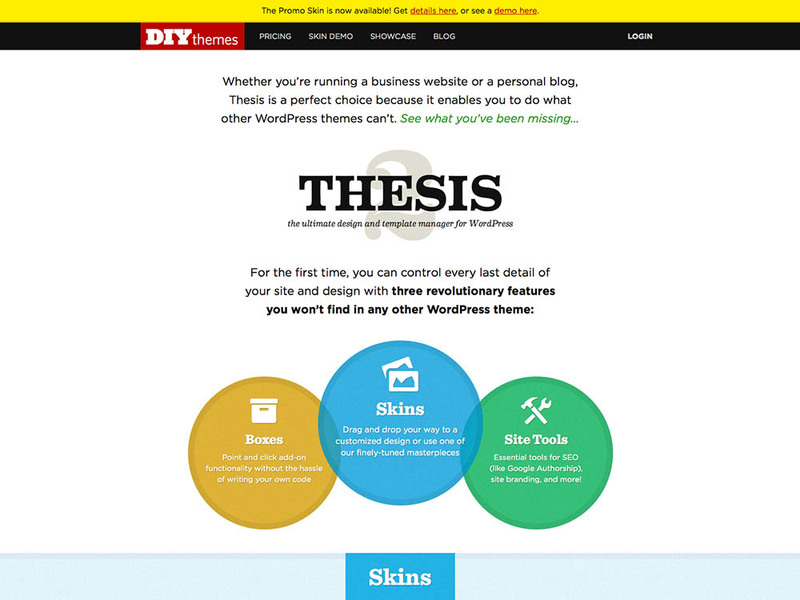 Thesis is more than just a theme — it’s an entire system that makes creating your WordPress site extremely easy. It allows you to do everything you need with your templates without any code, and it’s optimized for social and SEO out of the box. Thesis has a clean and simple layout that can be customized later on. It also has drop in boxes to integrate with affiliates and more. WP Review Pro is used by hundreds of thousands of sites to do reviews and ratings for products. Want your product ratings to show up on Google search results pages? This plugin does that. Want your reviews/ratings to show in Facebook, Google Places (and even Yelp, where applicable)? This plugin does that. Once you get one of the themes above, you can either go through and configure it yourself, or you can have it done for you. Luckily, if you want to save time and frustration, you can have your affiliate site built for you — and it will only cost you $25 on Fiverr. For that, you get your theme installed, plus, an affiliate plugin, SEO, 200+ products added, a blog, and optimization. It’s definitely worth checking this out for the time savings — even if you’re a WordPress expert. More Info Get It Customized What’s the Best Host? Get It Customized What’s the Best Host?